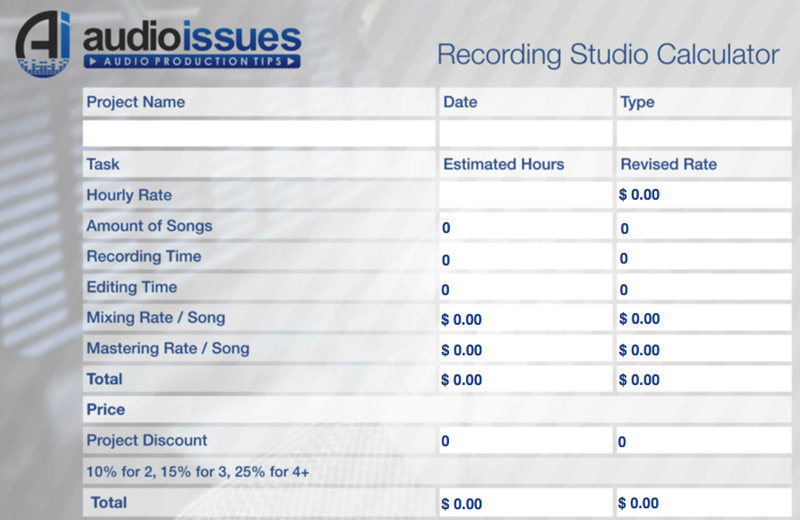 Know Exactly What to Charge For Your Sessions, Even If You've Never Been Paid for Your Audio Work Before With Your Free Recording Studio Calculator. Enter Your Email to Download. If you want to start charging for your services and start earning a side income from your home studio, I’d love to help you out with that. Pricing yourself is only a small part of the struggle. It doesn’t matter how much or how little you want to charge if you can’t find any clients to begin with. Even worse, you might not even think that you’re good enough to charge for your services. If that’s you, I want to be the first person to say that you are absolutely wrong! If you’re still starting out, you might enjoy some of the posts below. Whatever your business needs are, chances are Amazon has you covered. Whether you need a new computer for your studio, audio equipment to record your new clients or office supplies to keep the business side running smoothly, Amazon’s got it. If you want to to create a professional website for your home recording studio, you’ll need a reliable hosting provider that makes creating a brand new website a breeze. Blue Host is an affordable hosting provider where I host many of my own personal websites.